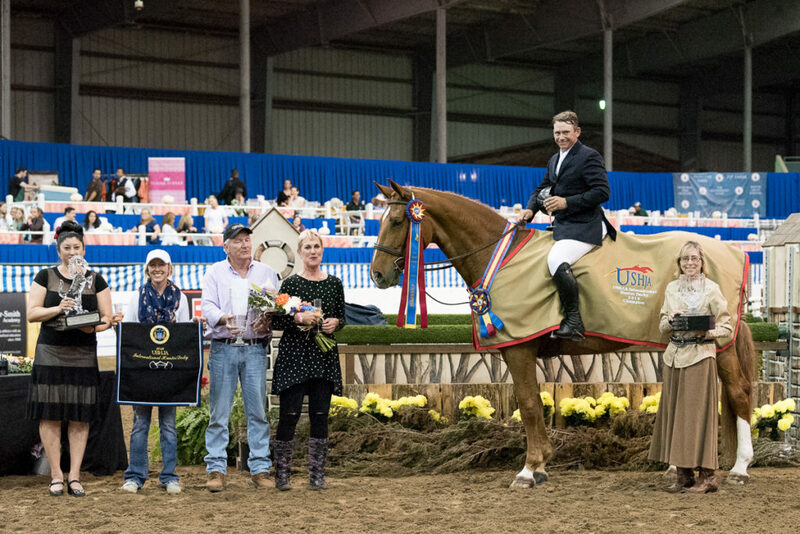 Frankie Owens and Diana Stumberg’s Carrida won the $50,000 USHJA International Hunter Derby. 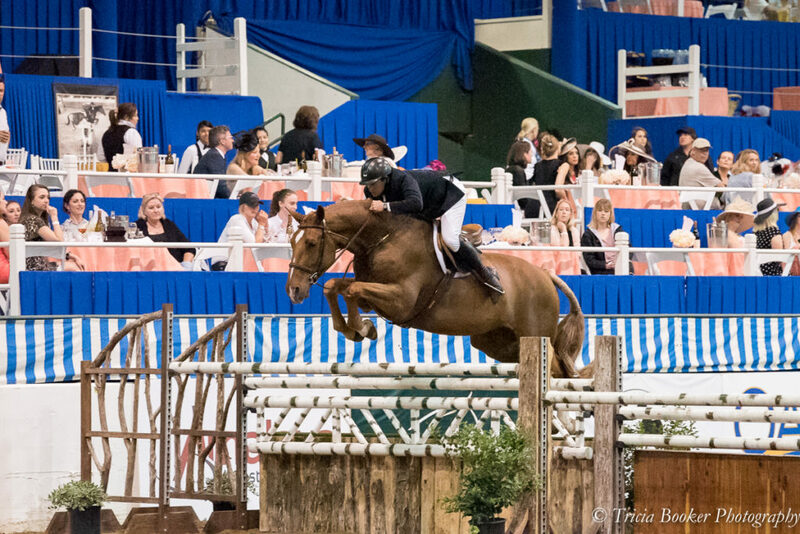 When Frankie Owens returned to ring for the Handy Round of the $50,000 USHJA International Hunter Derby after placing fifth in the Classic Round with Carrida, he knew he had nothing to lose. So, he took the available inside turns and galloped down to the high-option oxers, hoping that Carrida would show off her scope and talent to the judges. Indeed she did. The pair posted what turned out to be the best Handy Round scores of the night of an 89 and 87, taking all four high options and earning handy bonus points of 8 and a perfect 10. But with four contenders remaining, the end result remained to be seen. And his best turned out to be the best. Although Miss Lucy and Jennifer Alfano had won the Classic Round, they couldn’t quite catch Owens in the Handy and settled for second place overall–by .5 points. Tracy Fenney and MTM Silver Alert placed third, and MTM Here’s 2 Your took fourth with Natalee Haggan. Owens, 34, works in concert with his sister and fellow professional, Whitney Owens, and they continue the family’s business at Oakwell Farm. He brought Carrida up through the ranks for owner Diana Stumberg, who shows the chestnut Hanoverian (Chasseur I–Gloria) in the Amateur-Owners. For Sharon O’Neill’s 16-year-old Miss Lucy, Pin Oak seems to have become a favorite venue. 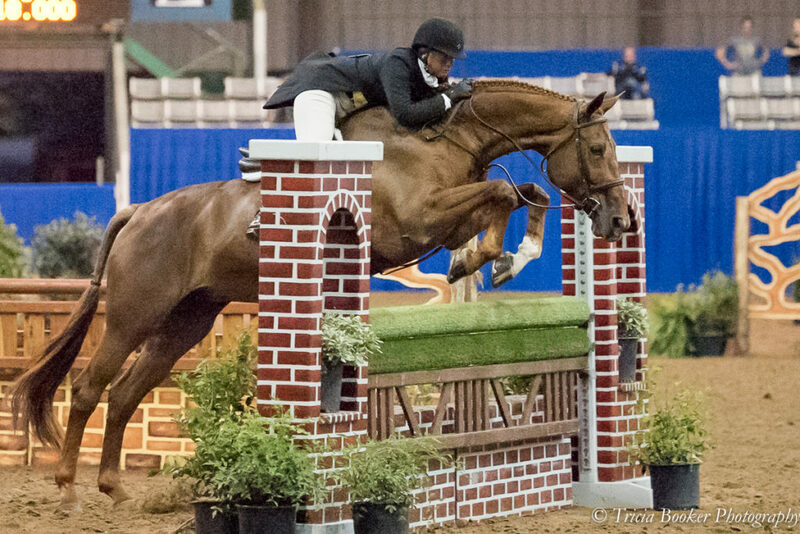 The chestnut Dutch Warmblood mare also placed second during Pin Oak I in the $30,000 USHJA International Hunter Derby. She took Week II off and returned fresh and happy once again. Miss Lucy earned scores of 88 and 86 from the judges in the Classic Round and took all four high options for the best score. 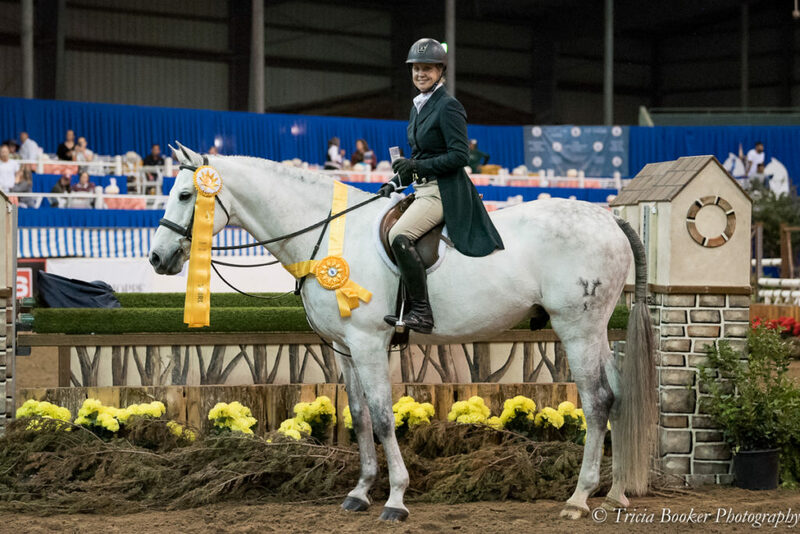 She placed third in the Handy Round, only topped by Owens aboard Carrida and Peter Pletcher riding Jamie Jarvis’ Mystique, the latter having won the International Hunter Derby classes during Pin Oak I and II. Special thanks to Modern Luxury for sponsoring the Bourbon, Bowties and Big Hats Reception held during the derby. 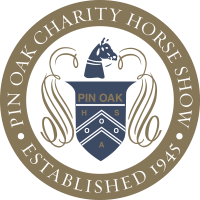 For full results of the Pin Oak Charity Horse Show and the USHJA International Hunter Derby, please visit HorseShowsOnline. Previous PostBlues Adorn the MTM Farm Banner at Pin Oak IIINext PostOver $200,000 gifted to Texas Children’s Hospital!